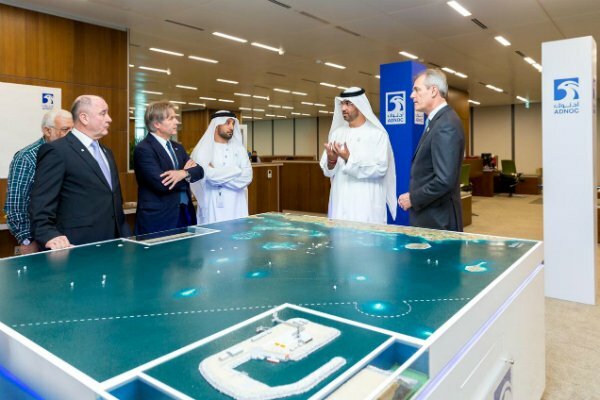 Abu Dhabi National Oil Company (ADNOC) has awarded a 5 per cent stake in the in the Ghasha ultra-sour gas concession to Austria OMV. The company joins Italy’s Eni and Germany’s Wintershall as a partner on the concession, which comprises the Hail, Ghasha, Dalma, Nasr, Sarb and Mubarraz sour gas fields. The Ghasha concession, which has a 40-year term, is expected to generate 1.5 billion cubic feet of gas per day when it comes online in the middle of the next decade. Once complete it will also produce 120,000 barrels of oil and high-value condensates per day. “The combination of rising demand for gas, more advanced technology and our industry-leading experience in developing sour gas fields, makes it possible for us to commercially and holistically unlock value from our vast sour gas resources,” said ADNOC Group CEO Sultan bin Ahmad Sultan Al Jaber. ADNOC also plans to increase production at its Shah sour gas field to 1.5 billion cubic feet per day and develop the other fields at Bab and Bu Hasa. The state oil company is developing the UAE’s gas resources under a 2019-2023 investment plan with the aim of making the country gas self-sufficient or even an exporter. Eni holds 25 per cent of the Ghasha concession and Wintershall 10 per cent.